Queenstown is an awesome town, named adventure captial of New Zealand. I have been in the winter and it is equally inviting in fact i would say maybe more so. It had a chaotic overrun with tourists feel about it whereas in the winter it is a lot quieter and you can still get the sunshine just without the mad busyness! However we weren't going to let that worry us. We Arrived mid afternoon and by 5pm a bungy jump was booked! 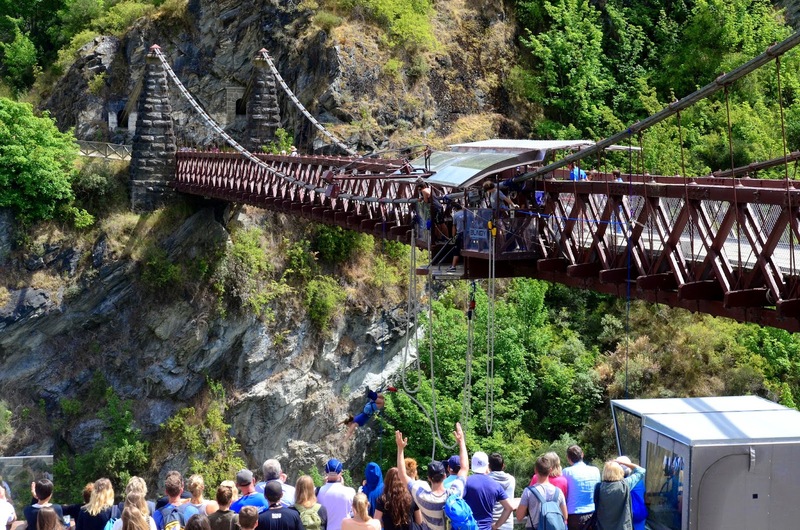 Nevis Bungy is the biggest in New Zealand and the ... in the world. With it being peak season the accommodation can get expensive. We were able to find a campground just ten minutes out of the town centre for $10 each a night, it was basic with only toilets but hey who needs a shower! I wasn't doing the bungy but i went out to the suspended platform to watch and that was bad enough! Doing a bungy jump was always something i said i wasnt interested in doing and that it was the having to throw yourself off rather than being attached to someone like a skydive for example that i couldnt fathom. However after witnessing the Nevis i decided i wanted to to the Kawarau Bridge bungy which is only 43m high (Nevis is 134m high). I am not sure what came over me but i booked it and that was it, i was jumping within the hour!! It was terrifying. It took me a good 3 or 4 minutes to actually jump- i was squeezing the poor guy's hand so tight i think he was ready to push me off the edge! 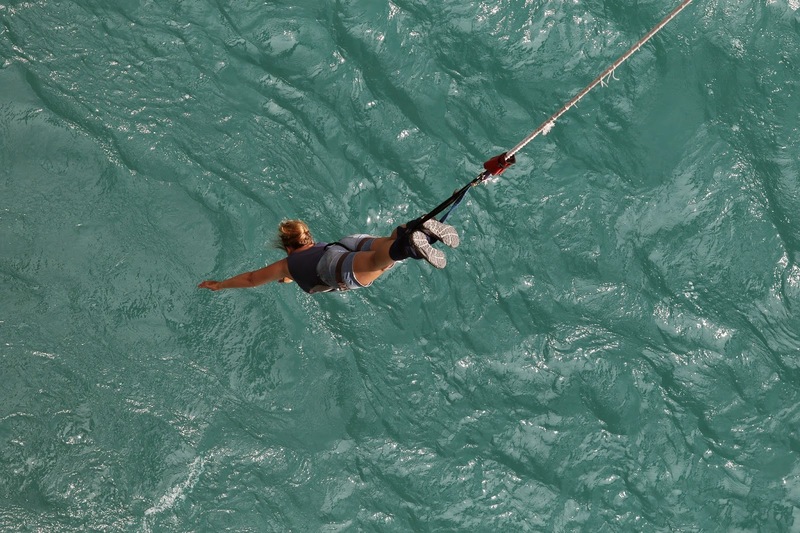 At the bridge bungy anyone can watch so i had an audience and ended up being encouraged and cheered on to jump! My error was i kept looking down, why i don't know that is the worst thing you can do! And then i heard 'smile for the camera' and i just went... head first into the river! A feeling like no other i think it should be on everyone's bucket list! So glad i did it. The video is funny and you get several photo's too, oh and a free t shirt! Would i do it again? Maybe!! Whilst there we also took a trip up the Gondola and took in the epic view of the town and mountains, there is a Luge at the top too. We did partake in a little shopping- it is hard to resist and there are so many and great mix of shops! Fergburger was always a must- queues out the door and up the street! Another good reason to visit in winter!! Fergburger is a Queenstown thing and offers very very tasty and huge burgers!